We found a home on line and called Kate Hudson. She responded almost immediately. She set up a showing for us in one day and spent several hours showing us homes for sale. Any time we called her after that she responded quickly and was always very pleasant. We felt confident that she had our best interest in mind. Regarding all aspects of our experience Kate went over and above our expectations. She inspired us with total confidence in her abilitiy. The entire process was effortless and Kate was a delight to work with. I would highly recommend her to a friend. The overall experience was amazing. Kate is extremely knowledgeable and friendly. It was a totally enjoyable experience. Don G.and Gail J.
Kate, I wanted to thank you for all of your efforts during this process. I know there were many emotions and frustrations and through it all your professionalism is and was well respected. Hopefully in the future should we have any real estate needs we will be able to work with you again. Bob B. Take my advice, hire Kate Hudson now! Kate was absolutely excellent every step of the way, from knowing her market extremely well and knowing what needed to be done to position Mom’s house correctly in the market to producing a team of professionals that got the house ready to show beautifully. After I brought my elderly mother to Connecticut from Florida on an emergency basis I was fortunate enough to meet Kate through the recommendation of a friend in Hobe Sound. It was immediately apparent upon meeting Kate that she was an exceedingly competent and poised professional. These qualities, combined with her lovely demeanor, made it both easy and pleasant to work with her. Kate had great advise as to what needed to be freshened up in the home and how to spend frugally and wisely in order to maximize the sale price. Kate made it possible to get the best price as she has assembled a great team of the professionals; from painters and contractors to a full service Senior Move Management Company. Her team was invaluable to me as I was far from Florida and not able to oversee the process myself. Once the house was put on the market we received two bids within two days! Kate wisely navigated me though the sale and we closed within 3 weeks of putting the house on the market. So again, my advice is hire Kate Hudson and take her recommendations, you will be very pleased with the outcome Paula T.
Excellent availability any time needed. Great communication skills, very timely. Bud and Linda D.
We trusted her.... Kate was very thorough and knowledgeable, very helpful and had all paperwork ready, approvals, etc. We were totally satisfied and would highly recommend her or use her again. She always was totally professional and we trusted her. 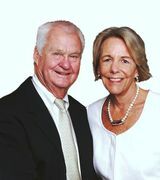 Diane and Bob L Bob and Diane L.
Kate and Charles Hudson provided excellent services and communications in the listing, showing, selling and closing of our house in Hobe Sound, Florida. Joe and Audrey V.
Wow! wow! wow! ..you guys are fantastic. When you receive expected quality service and get it ..that’s one thing ..but when you receive it and trust the process it’s worth ten times more. That’s what you delivered from beginning to end. “ Our goal is to exceed customer delight”. The CEO of Ford Motor Company said that was his ambition and definition of Quality. Must be yours, too. Bob M.
We were referred by a friend who had worked with the Hudsons. Kate was very professional, personable,and answered all our questions and concerns; she made us feel comfortable immediately. Jennifer D.
Kudos to you for a job very well done. From start to finish you handled things very well Fernando G.
When I first made the decision to sell my home, I didn't know where to start. Kate and Charles came highly recommended to me by a local friend in the area, and also my attorney, which was very much appreciated. This was very helpful as I live full time in New England and hadn't been back to Florida for over 8 years. Kate and Charles were the epitome of professionalism. Kate personally helped me greatly in determining what renovations and updates were needed in order to successfully sell my home. I feel as though without Kate and Charles, the process would have been significantly more inconvenient, drawn out and draining. As someone who was unfamiliar with the local market, the personal touch and investment they provided in giving me their time, attention and expertise made all the difference. Thanks to the Hudsons, I was able to sell my home quickly and conveniently, and the process was painless. I would beyond a doubt recommend Kate and Charles, without question, to any friends in the area looking to either buy or sell. Thank you both again! Susan J. Thank you Kate for being such a help to me. You made this move very easy and were a joy to work with. I'll recommend you to anyone. Helena P.
We wanted to thank you for the great job you did in handling the sale of our home in Hobe Sound. Over the years we have bought and sold many properties. Never have we dealt with a more professional, knowledgeable broker. You have turned what can be a very stressful time into an enjoyable one. I cannot think of one thing to complain about, which is a record for me. From start to finish you were on top of everything, suggesting a mover who was excellent, giving us the phone numbers of the utilities and getting us the best price for our home. I only wish I had additional property in Martin County that you could handle the sale on. Our experience with you has proven the saying that when you use the best you get the best. Anthony and Liz A.
Kate is the most professional realtor I have ever worked with, both here in Florida as well as Massachusetts! I would recommend her to anyone! She's truly a wonderful, lovely lady! Lori K. G.